Public Speaking Today will teach your students the public speaking skills that are used by presidents, generals, business leaders, and celebrities. 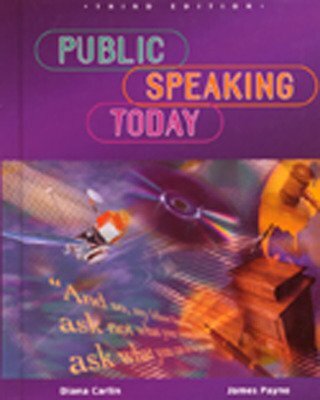 This text is organized into a step-by-step approach beginning with "What is Public Speaking," then moves through the speech building process. A special chapter dealing with debate was added to this third edition.